The Shell Premium Upgrade “Swipe and Win” Sweepstakes is almost over and we are now learning about some of the winners. 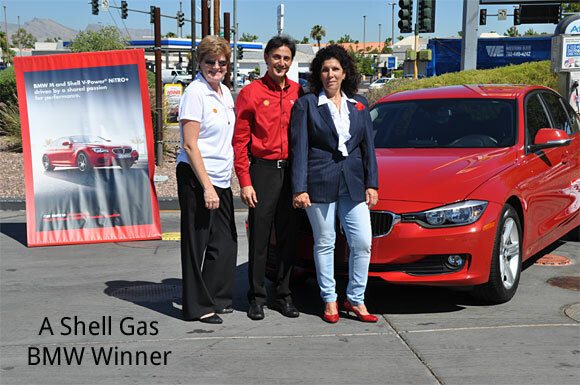 Here are some of the Shell Sweepstakes winner stories. Are you entering? How many entries did you mail in? Have you won? Let us know in the comments below. The first winner was Jermain from Brooklyn. He signed up at the Times Square Takeover event and found out a few weeks later that he won. 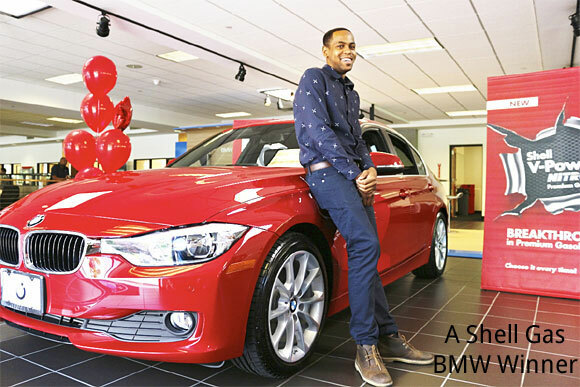 He picked up his red BMW in Tenafly, New Jersey. The next winner that was recognized was William from Orlando. 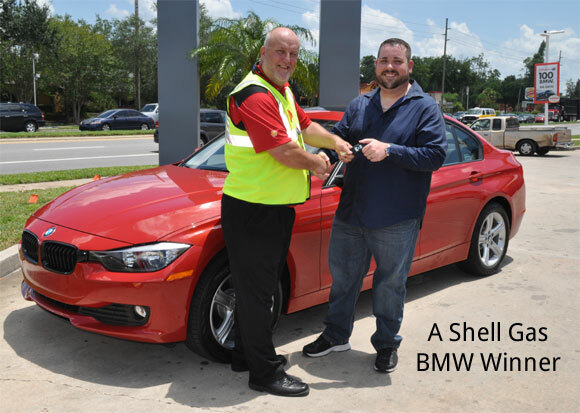 William stopped by the Shell station around the corner from his house for a regular fill-up – a habit he has had for many years as a loyal Shell customer – and won by using his fuel rewards card before he filled up. The same thing happened to Victoria who won in Las Vegas by simply swiping her Fuel Rewards card as she normally does before filling up. I have mailed in 63 entries. I have not won. Chances are there is well over a million entries at the minimum, I’m going to take a stab your 63 mail ins were a complete waste of money & time. I’ve mailed quite a few myself. You can’t win if you don’t enter, and I’m sure they’ll draw a few mail-ins. All it takes is one entry. I sent some in through the mail too. I have won some big prizes like a car and $10,000 trip from sweeps that had bad odds. It never hurts to enter everything you can because you never know. I missed about 5 entries in total but I’ve entered everyday by mail and I will enter until the end. You never know and I could really use a new car. Well, I figured the odds were a little better since those who buy gas have to swipe their card and buy 8 gallons or more. You only get 10 entries when you buy V-power. The only thing is it’s U.S. and Canada combined. I have bought gas several times and have been mailing since mid June. I feel like there’s something strange with this contest, but I’ll keep entering. it seems like there should be more names listed on the site according to the draw schedule. They are supposed to notify the winners within 3 days and they have a limited amount of time to return paperwork. Maybe some are declining the prize because they weren’t actually trying to win the car, just wanted 3 cents off gas. Let’s hope some of us will get a chance as alternates. Drawings for the first week didn’t begin until over 3 weeks later. If you account for the time it takes for the winner to be verified and accept the prize, then they’re on schedule. There has been a winner from someone on another sweepstakes site that I am a member of. He entered 1 x a day by mail. My husband and I mailed one in maybe all but 5 days. No wins. Expensive, time consuming… still hoping. Does anyone know how they contact the winners? I know what the rules say…. but haven’t seen from someone who won yet. I am just happy someone posted this sweepstakes as I would have never known.Win or not it has been lots of fun trying. I think I went overboard, but really wanted this win, actually I still have a chance! So, I’m still hopeful – I figure I spent about $550 by entering my entire family 2x a day via mail. I entered by buying gas too just to up my chances.